It seems that the FAI does not just have to worry about the results on the pitch as the qualification campaign for Euro 2020 kicks off, or the fact that they owed their CEO a significant sum of money (while also paying his rent) some time ago. Topically, it has been alleged that a whistleblower has come forward to raise various concerns about the financial governance and stability of the FAI. 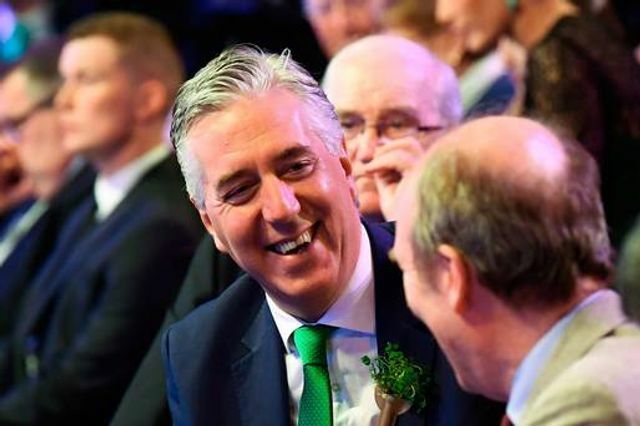 As a result, the FAI will face questions from the Oireachtas Joint Committee on Transport, Tourism and Sport into the bridging loan given by outgoing CEO John Delaney. Further, the Office of the Director of Corporate Enforcement is due to review the FAI’s finances. The effect of someone blowing the whistle cannot be underestimated. Whistleblowing as a legal concept was a rare phenomenon in the Irish employment law arena up until a few years ago. Now a whistleblower is either responsible for or linked to many of the more topical public affairs matters in Ireland. Overall, whistleblowing is seen as a positive mechanism in Ireland, to be encouraged and protected as a service to the public interest. The setting up of a Tribunal to inquire into alleged maltreatment of Garda whistleblowers is evidence of how important this mechanism has become to us. Ireland introduced legislation, the Protected Disclosures Act 2014 (“the Act”), to protect employees who report possible wrongdoing in the workplace, and suffer detrimental consequences as a result. The Act protects employees (and other categories of worker) who report what are defined as “relevant wrongdoings” which have come to their attention through their employment. Encouragement is given by the prohibition of penalisation for the making of a protected disclosure. The Act provides redress to employees who are dismissed or otherwise penalised for having reported possible wrongdoing in the workplace. Of particular note is that if they are unfairly dismissed, they can be awarded up to 5 years gross remuneration, more than double the potential award under the Unfair Dismissals Acts (although we are not aware of any awards of this amount). Furthermore, whistleblowers may often be kept anonymous. oppressive, discriminatory, grossly negligent or grossly mismanaged acts or omissions by a public body. It also involves the destruction or concealment of information relating to the above wrongdoings. Disclosure to an external person (i.e. the press) – requires a reasonable belief, it cannot be for personal gain and you must either (i) believe you will be penalised if you make the disclosure to either of the above or (ii) if neither exist, that the information will be concealed or destroyed or (iii) you have previously made a disclosure to one of the above or (iv) the wrongdoing is exceptionally serious in nature. The Committee appearance will no doubt be watched by many with curiosity, but for employment lawyers, it’s what happens in the aftermath of this disclosure that will really pique our interest. At the beginning of next month, the FAI is due to appear at an Oireachtas hearing that was arranged long before this story sprung to light. It's an event that has gained greater significance now amid suggestions that whistleblowers have given committee members more information to bring to the table. The Employment (Miscellaneous Provisions) Bill 2017 - does it go too far?